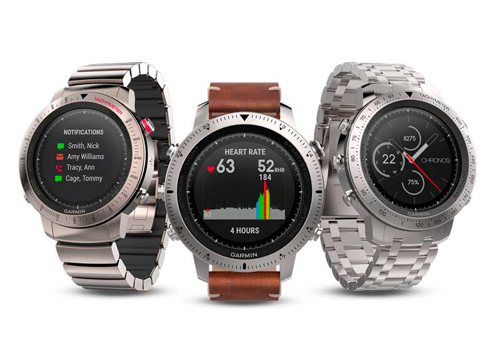 As the fenix 5 was announced and released, a new set of updates has been provided for the fenix Chronos. With improvements to the all round interface and monitoring of various activities, this is very welcome to fenix Chronos owners. fenix 5 features added to the fenix Chronos include sophisticated training features to help monitor form and performance. Enhanced information will be displayed to monitor training status and training effect. These readouts show aerobic and anaerobic benefits of your workout. This allows you to see more clearly if your workouts are paying off. Another significant improvement is the V02 max estimator. Garmin uses data from your running speed, heart rate BPM and heart rate variability to measure V02 max. If you’re not sure what VO2 max is, it’s an important measure to help determine endurance capacity during prolonged, submaximal exercise (85 percent of max heart rate capacity). As a result of increased measuring, users will be able to determine their fitness levels during prolonged exercise. Other general improvements and updates to the fenix Chronos include an improved HR experience, new watch faces, improved backlight for menus, stability, support for GroupTrack, and much more. To update your device, it’s extremely easy. The best way to do it is via your phone and the Garmin connect app. Make sure your connected via Bluetooth and updates should perform automatic. If you can’t perform these updates via a smartwatch, simply download the Garmin Express app for Windows and Mac. If you have any questions please feel free to visit our store or give us a call on 03 9598 7888. The post Garmin fenix Chronos Software Updates appeared first on Highly Tuned Athletes.